The National Health Service will not get to work before July. 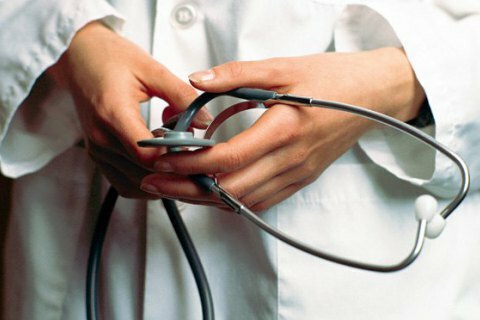 The Ukrainian Health Ministry has said that the campaign to select primary care physicians will begin in April. The ministry published a list of steps that primary health care institutions should take in 2018 as part of the national healthcare reform, including "an awareness campaign and the signing of agreements with patients about the choice of primary care physicians". "The campaign for choosing a primary care doctor will start in April 2018. Until that time, the signing of declarations about the choice of a doctor will work in a pilot mode so that doctors have time to learn how to use the functionality of the medical information system, and test the central component of the electronic healthcare," the ministry said. Public primary care institutions throughout 2018 should be reorganised as non-profit utility companies. Only medical institutions having the status of public non-profit enterprises will be entitled to sign contracts with the National Health Service of Ukraine and receive direct funding for the services provided from the state budget. Meanwhile, hospitals should be computerized, choose a medical information system and connect to the electronic health system, obtain electronic digital signatures for the institution and doctors; bring the logistics of the institution in accordance with the technical equipment sheet; ensure the provision of primary medical care on weekends, holidays and for the replacement of the primary physician on leave, on sick leave or on upgrading; and conclude an agreement with the National Health Service of Ukraine. In January, a competition will be announced for the position of the chairman of this service, which is slated to start working before July. Parliament adopted medical reform in the autumn. It provides for state guarantees for payment for medical services and medicines provided to patients from the state budget on the basis of the "money follows the patient" principle. In particular, the reform introduced the notion of a "state guaranteed package", a certain volume of medical services and medicines, which the state undertakes to pay at a pre-established single tariff to be annually approved by the cabinet. State financial guarantees are provided regardless of any additional criteria to all citizens of Ukraine and those who are registered as taxpayers in Ukraine.